In the past 4 years, I have been a part of a job search networking group called Pressed for Success. When it began there were only 3 of us. The f ollowing week, 5 and it grew steadily for a couple of years. However as the economy improves, growth has not been as steady. But the people who attend benefit in more ways they can count. 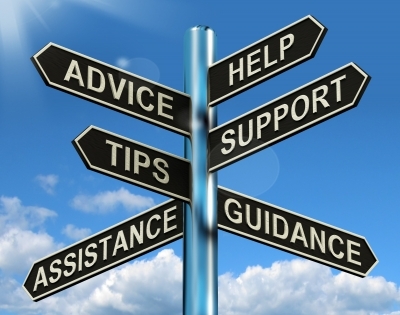 The most valuable take away in the job search networking support group is the support. When members say they understand, they mean it. Many people say they understand the feelings of the unemployed, but they don’t really. You have to experience the black hole and sit day after day at the computer looking for your next job to understand what it feels like. Even a spouse doesn’t understand. Spouses see the financial situation deteriorate as the job search drags on. They say they are supportive, but their own fears are standing in the way. The tips and leads are another great benefit. Members have many connections to a collection of resources that they share freely. Whether it’s a tip on the best way to write a résumé or a lead on an open position, it is always welcomed. In my group, we will pass along any job leads to the appropriate person. Sometimes the lead is not quite right, but you never know when the right one will come along. Over 300 people have participated in Pressed for Success in the 4 years it’s been around. Some people have been repeat members. They got a job and then laid off again. There are only a few people who have not yet been able to find a job. Some joined early on and others more recently. The one thing each person takes away from the group is the knowledge that someone cares about them, and they are not alone. I know I found it comforting to know there were many people in my position. People who had better credentials, more experience, etc. were there in the group with me looking for the same thing. When one person gets a job, the joy is contagious. The successful candidate comes back to share the win the others. They share how they found the opportunity, what they did to apply, and any else that may help others succeed. The best gift they give to the group, they become a contact for the others in their new company. Because of this group, I have met some incredible people who have made me a better person. It has been gratifying to work with these people and share the journey. They have taught me about myself and the job search. As a result, I became a career coach. I want to work with people to achieve their dream job as they have helped me achieve mine. Arleen Bradley is a certified career coach and certified job loss recovery coach. She assists clients in moving beyond job loss grief in order to land dream jobs. To learn more about the Job Loss Recovery Program and how you can benefit from it, log on to http://www.arleenbradley.com. Do you feel all alone in your job search? Do you feel like no one understands what you are going through? Looking for state of the art job search strategies? If you answered yes to any of these questions, you will love the Job Search Networking Support Group. Click here to sign up. Unemployment and the Holidays: Yes they can be compatible. Surviving Unemployment: The Only New Year's Resolution Job Searchers Need for Success in 2012. 6 Comments to "The Job Searchers Most Needed Tool: Job Search Networking Support Group"
Excellent idea! There are a lot of people who could use this idea right now. Yes there are. And I am trying to reach out to them. If you know anyone, send them my way. This sounds like such a wonderful group! It is Toni, they are all very special people in my life. Great idea to have the support group! The work in many different ways for the better of all involved. Thank you Gordon. Yes, searching for a job has the same emotional needs no matter what your occupation. « Job Searching: Yes, There’s an App for That.